The Attorney General of Washington announced a lawsuit today against the private prison profiteers, GEO Group, who own and run the Tacoma, Washington immigration prison, the Northwest Detention Center (NWDC). The lawsuit is a direct result of over three years of hunger strikes and work stoppages by people detained at the facility. There have been five hunger strikes so far in 2017, and whistle-blowers have faced repression from both Immigration and Customs Enforcement (ICE) and GEO Group, in the form of solitary confinement, threats of force-feeding, and retaliatory transfers to different facilities across the country. Today’s lawsuit by the Attorney General represents a victory for hunger strikers, whose heroic efforts to bring light to the abuses of immigration detention despite repression have led the state of Washington to take action. The Northwest Detention Center (NWDC) in Tacoma, WA is one of the largest immigration prisons in the country, with the capacity to hold up to 1,575 people. On Friday, March 7, 2014, over one thousand people held in the NWDC fought back against an unjust system by putting their bodies on the line: a hunger strike. The strike continued for 56 days and spread to other detention centers across the USA. On the third anniversary of their action, we reflect on their achievements and make an abolitionist call to stop locking people up and end all deportations. What happens when you know your rights, but they are not respected? How can communities claim their dignity in sites of injustice? ​To read the story of one moment in a history of struggle, download A Hunger Strikers Handbook (also resources and updates). The Northwest Detention Center (NWDC) en Tacoma, WA es una de las prisiones de inmigración más grandes en los EEUU, con capacidad para albergar a más de 1500 personas. El viernes, 7 de marzo de 2014, más de mil inmigrantes detenidos en el Centro de Detención comenzaron a rechazar las comidas. La huelga de hambre continuó durante 56 días y dos huelgas de hambre más fueron organizadas ese mismo año con los huelguistas para exigir el fin de todas las deportaciones y mejorar las condiciones de detención. En el tercer aniversario de la huelga de hambre del NWDC, reflexionamos sobre sus logros y discutimos la agenda de justicia inmigratoria. ​¿Qué sucede cuando conoce sus derechos, pero no los respeta? ¿Cómo pueden las comunidades reclamar su dignidad en lugares de injusticia? Para leer la historia de un momento en una historia de lucha, descarga Un Manuel Del Huelguista (además recursos y noticias mas recientes). On April 1, 2017 (no foolin’), we launched the Hunger Strikers Handbook outside the Northwest Detention Center. We used this event as an opportunity for individual capacity building with new organizers and relationship building with FIGHT (Formerly Incarcerated Group Healing Together). This predominantly Asian Pacific Islander group of formerly incarcerated men and their loved ones joined us to talk about how the US criminal justice system made people of color vulnerable for deportation – since 2017, particularly men born as refugees in Cambodia or Viet Nam. This event helped us explicitly think through the linkages between API and Latinx communities in how they suffer, and fight back against, racial justice systems that profile them as immigrants. We couple direct action with lobbying of state agencies. Less than one week after we launched the Hunger Strikers Handbook online and in print, women inside the Northwest Detention Center (NWDC) launched another hunger strike. Since the launch of the Handbook, there have been over four weeks where someone – inside or outside the detention center – has been on hunger strike to protest human rights abuses. As of June 2017, Tacoma City Council has enacted an emergency ordinance limiting the NWDC’s ability to expand. At the same time, the Washington Attorney General’s office is in the process of investigating labor and environmental violations that may allow them to sue the Department of Homeland Security (DHS). 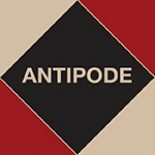 We do not yet know if these efforts will come to fruition, but we are using the Antipode Foundation’s support as a way to promote radical knowledge and ideas about detention abolition to shift the tone of the conversation. Instead of asking where immigration detention facilities should be located, local stakeholders are for the first time discovering that they must justify the act of detention without due process itself. We have created and distributed both a physical “zine” of the Hunger Strikers Handbook and a documentary with the same topic. In addition to distributing 2,000 physical copies of the Hunger Strikers Handbook in the United States, Mexico and Guatemala, we have made it available for download via the Antipode Foundation and Hunger Strikers websites for free. While the initial research did not reveal significant collaboration between immigrants detained in disparate sites (due to language, costs, and insufficient access to media / news), our current projects work to connect immigrants across detention sites and national borders. This brings to light the importance of solidarity work like that of Josefina and Maru Mora in visiting the Adelanto Detention Center in California, as well as meeting with relevant solidarity groups, to teach them about how to support detainees in detention. With the election of Donald Trump to US presidency on an anti-immigrant platform, we devoted significant initial costs to reflecting on our work and the goal of the project during a day-long workshop in November 2016. Given the needs of the NWDCR to meet community needs in a time of fear and stigma around immigrant detention, we agreed to provide logistical support to the organization: a toll-free# that detainees use to call us for free, a wifi hotspot and tablet for live-blogging during actions and rallies outside the NWDC, and a website to host the Hunger Strikers Handbook for free in English and Spanish. Finally, given the resurgence of hunger strikes in 2017, we dedicated the last portion of our funding to paying for a short documentary that we can use as an introduction to panel talks. These are particularly important in the state of Oregon, as many detainees have been transferred in retaliation and we are developing solidarity networks in response. With Nik Heynen, Megan Ybarra is preparing a special issue of a journal, building on his provocative call for “abolition ecologies”. In this issue, we call on authors to look beyond liberal rights frameworks and towards justice. The daily work of abolition can be as small, and as grand, as “supporting people currently endangered by policing and prisons, working to stop police, prison, and border expansion, and building alternative systems for keeping each other safe”. Beyond making our calls understood to a broad audience, we will ask radical scholars to exchange ideas and provocations towards abolition. As Cedric Robinson noted in the Preface to Black Marxism, “for a people to survive in struggle it must be on its own terms: the collective wisdom which is a synthesis of culture and the experience of that struggle”. Rather than seek permissions from racial states, anticolonial thinkers have refused the terms of their subjugation and called for a repatriation of land and life. As such, we seek papers that highlight the ways that the daily work of struggle that draws on environmental justice and urban political ecology frameworks to reach for abolition dreams. If offered the opportunity to apply for further funding from the Antipode Foundation, we would like to increase our networks and support transnationally. In particular, Maru Mora has recently made connections with Deportados Unidos en La Lucha and Megan Ybarra has been in touch with the Dreamer Moms in Tijuana. We would welcome the opportunity to better understand deportation’s afterlives, as well as enrich activist communications between those currently in detention and those who have survived state violence and arbitrary detention.